Don’t end up like this guy. Store your mattress at StaxUP Storage in Southern California. The only constant in life is change and at StaxUP Storage we are experts at helping you deal with change. The stress that’s brought about during life’s transition moments can weigh heavily on your mind and there are already so many things to keep track of. Using self storage as an organizational foundation can make your next project much less stressful. No matter if you are upsizing (more than 690,000 people purchase something at a garage sale each week), downsizing, moving or simply don’t have enough space, self storage can help you keep track of everything you own. Some of the most common large items that need to be stored are beds and mattresses. To help make your next move that much easier, we have put together a short guide that covers the minimum you need to do to make sure your favorite bed stays as fresh as the first night you slept in it. By utilizing self storage for your mattress, you can make sure to control humidity, temperature, and exposure much better than in your garage or attic where mattresses are likely to become damp or mildewy. Follow the steps below to ensure your bed and mattress are stored with at least the minimum of preparation. Take the bed frame apart using a bag to gather all of the nuts, bolts, screws and other fasteners. Tape the bag shut and secure it to the frame, so the fasteners aren’t lost in transit. Protect the mattress from dirt, dust, and other destructive elements using a light, breathable cover. Lay your coil mattress or box spring flat. If you lay them on their sides, the coils may shift and cause the bed to be uneven. Do not put heavy objects on the mattress for long periods of time. This, again, could cause the inside of the mattress to shift, damaging the bed. 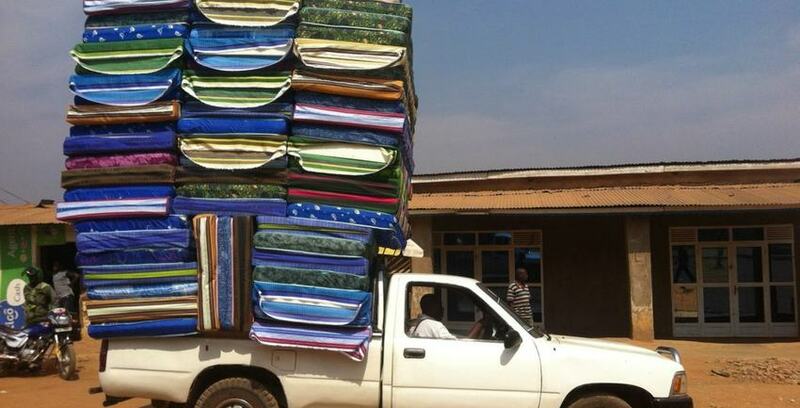 Put your mattress on top of all other heavy objects. To keep your mattress fresh after you remove it from storage, dust it with baking soda and use a vacuum to remove the excess. Sometimes storing a mattress just doesn’t make sense. When this happens, you can also have a foam mattress shipped to your new residence. At StaxUP Storage, we offer you a clean place to safely store your mattress, and any other belongings you need at affordable rates and easy, convenient access. Find a location nearest you and come check us out!